Celine Nehoray : I'm from LA! Born and raised in Beverly Hills. I graduated USC with a degree in both Communications and Business. Joline Nehoray: Beverly Hills is where my heart is! I am currently a student at USC. I was initially studying pre-med, but now I am majoring in Communications and getting a minor in Entrepreneurship. 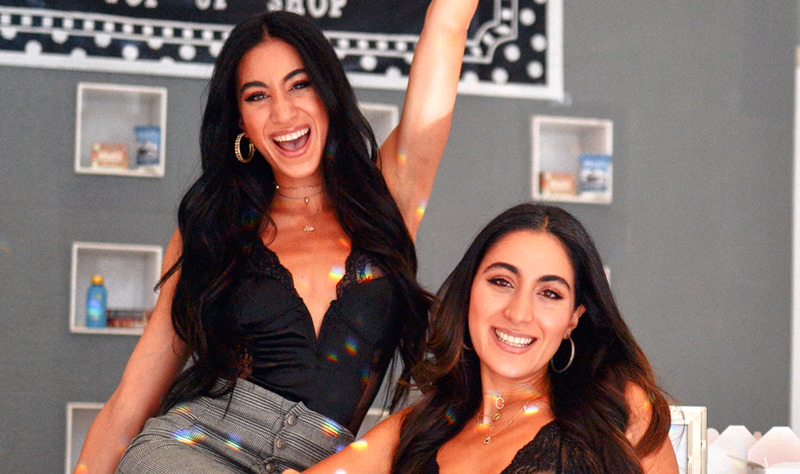 CN: Launching Beverly Hills Lingerie last month with my extraordinary business partner, my sister, has been the most meaningful chapter of my life to date! I get to do what I love, which is growing as a female entrepreneur and creating a lifestyle brand catered to us women. In addition to running Beverly Hills Lingerie with Joline, I am also a teacher's assistant at the Entrepreneurship School at USC! I get to assist three incredible entrepreneurial classes, both undergraduate and graduate. JN: Beverly Hills Lingerie is a lifestyle brand disrupting the streetwear lingerie industry. Being a full-time student and full-time CEO is incredibly difficult but a perfect experience all at the same time. Moreover learning all the tools and knowledge needed to run a business while in class is what makes me so grateful and realize I truly have the best of both worlds. CN: I genuinely always wanted to be my own boss and have the opportunity to build a brand that would impact the lives of many, all around the world. The opportunity to create Beverly Hills Lingerie with Joline kind of just fell into place. We saw a gap in the streetwear lingerie market and we wanted to create a brand that would cater to millennials. We took the opportunity right as we saw it. We didn't hesitate. As we know, the female millennial market is sweeping the nation! Before Beverly Hills Lingerie, I worked in fields of both marketing and public relations. JN: Beverly Hills Lingerie was an opportunity my sister and I didn't hesitate to seize. The evident gap in the streetwear lingerie industry pushed us to create Beverly Hills Lingerie with our innate senses of passion and urgency. Our strong sisterhood helped us build a company we strongly believe in. My past work experiences include social media and marketing gave me the tools needed to succeed! CN: Am I allowed to say everything?! I guess truly the most exciting part is all the stunning souls and talented beauties who reach out to work with us. And all the amazing feedback we have received from overseas about our branding and website! It truly means everything to an entrepreneur to have their hard work be recognized, valued, and admired! I am thankful for each and everyone one of you. JN: I wake up every day with a smile on my face knowing I get to have another day doing what I love. I get excited to answer emails, follow up on social media outlets, and go to meetings. What's great about being an entrepreneur is that you already know you love what you do, so everything you do to reach your goal is exciting and fun for you. Nonetheless, working with my brilliant best friend, my sister, is the utmost exciting aspect. JN: My sister and I ultimately strive for perfection. However, perfection is in the eyes of the beholder. Trying to compromise and integrate our ideas with each other is always a difficult task because we see perfection differently. 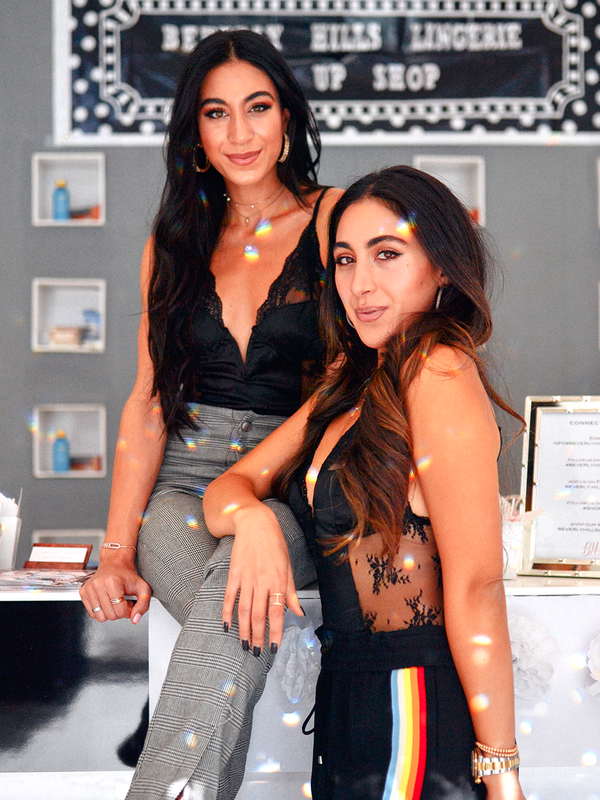 Yet, having the same essential and fundamental goals and visions for Beverly Hills Lingerie allows us to put differences aside and instill trust in each other. CN: You can have it all as long as you want it all! JN: You did not wake up today to be mediocre! CN: When my alarm rings, I turn immediately to my phone to see what I missed in the few hours I was asleep. I instantly check emails and check social media outlets, and follow up on any work related emergencies. My facial routine and breakfast are next, followed by my classes at Hot Pilates most mornings. Then Mondays & Wednesdays I'm on campus all day as a TA. The other days of the week I'm running around the city usually with my sister, doing Beverly Hills Lingerie errands. This includes going to the tailor, visiting the warehouse to check and pick up inventory, casual social media photoshoots, meetings, etc. JN: Basically, I'm a roommate from hell. My alarm rings when it's still dark out and then I proceed to make my daily shake in my noisy NutriBullet. After breakfast follows my facial routine and getting ready for either class, pilates, or work. My daily schedules varies strongly on the day of the week! Funny enough we pretty much have the same schedule, except most days I'm at my apartment near campus. Monday/Wednesday are my all-day class days, and the others days if we don't separate responsibilities, we are together running Beverly Hills Lingerie tasks! CN: Selena Gomez inspires me. I find her to be the most authentic, genuine person. She is transparent on social media and loved by everyone by embracing who she is. She wants to make a positive impact on the world which as a celebrity, is inspiring and humanizing. JN: I honestly love Ellen Degeneres. Not only do I cry of laughter watching her shows, but she is incredibly generous, honest, and authentic. Her acts of kindness go above and beyond. She uses her platform of fame and fortune to help others stuck in desperate times. The smiles she puts on people faces by making them laugh but also making them happy is so uplifting. CN: Wow. I strive to have two businesses gone global and have been a guest speaker at entrepreneurial events around the world. I hope to be established as a B corp, be an author, and create a non-profit. JN: For one, I hope our company goes public on NASDAQ! Furthermore I hope to be a mentor and advisor to other young entrepreneurs who need guidance on their way up, like we needed. CN: I really enjoy being around people. I make for comfortable and friendly company. I like to embrace positivity and laughter with others! JN: I've been told I am aggressive. I'll look at that as a good thing ;) I find myself meticulous, thoughtful, and ambitious. CN: A big challenge we are learning to overcome is the delegation of roles between two people with very different tastes and opinions. Having two people with different interests try to compromise on one decision is extremely time consuming and difficult. JN: I think you are learning to work with your business partner until the day you die. Learning how each of you do things, want things, and handle situations is an ongoing process as your business changes with time. Working through these obstacles have been a challenge. CN: I'm still learning how to find time to do more things that impact people on an individual and personal level, not just a collectivistic level. JN: I’m always still learning. Everyday I learn something new. I learn how to use a new app, website, or service to benefit Beverly Hills Lingerie. I guess my ultimate goal is really learning how to navigate the backend of our website on my own. CN: Being constantly bullied and judged on social media. Women are striving for a false perfection - the girl in the magazine doesn't even look like that in real life! And unfortunately there are many young girls facing a false expectation of beauty. JN: The other day I read that women entrepreneurs only got 2% of the world's venture capital in 2017. This number is ridiculous. I think being trusted, respected, and evidently funded are some of the most difficult things for women trying to build an independent career. CN: If you don't want something enough, there will be somebody else who will want it 100 times more than you, and achieve it better and quicker. JN: Girls compete with each other. Women empower one another. CN: Dream small and work your way up from there. JN: Take your time building your company. CN: Surround yourself with the right people to build you up - the wrong people will lead you in the wrong direction. JN: Do not stop. Do not give up, don't let one obstacle or speed bump hold you back. Stay strong, stay motivated, and surround yourself with others who inspire you to feel the same.